This weekend a century ago, with the declaration of the general election results on December 28th, Sinn Féin was absorbing the scale of its triumph and its routing of the Irish Parliamentary Party. It was an election that was noteworthy for many reasons, including the extension of the franchise to men aged 21 and over and women over the age of 30 with property qualifications. But it was the extent to which it could transform Anglo-Irish relations that focused political minds in the aftermath. 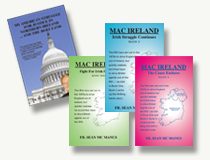 Sinn Féin had promised during the election to use “any, and every means available to render impotent the power of England to hold Ireland in subjection,” which was worryingly ambiguous. Less so was its promise to convene a constituent assembly and to make a case for Irish self-determination at the post-war international Peace Conference. That was wishful thinking, but it was an understandable reaction to the extent to which Sinn Féin had pilloried the Irish Parliamentary Party for being compromised and tainted by its presence at Westminster. Dillon lamented the ignorance about reforms in welfare, housing and education his party had achieved by working with British governments for decades. Sinn Féin, however, had ensured that the very word “parliamentarian” became a term of abuse. Sinn Féin then proceeded with plans for its own parliament, and the first Dáil will receive its due recognition in a few weeks with solemn acts of centenary commemoration. The ironies of what Sinn Féin did with its emphatic mandate also need to be recognized. It essentially mirrored the British parliamentary model, so much so that in 1919, JJ Walsh, who had been elected for Sinn Féin in Cork, wrote to feminist Hanna Sheehy Skeffington: “I was not surprised to see your apt description of our new Westminster Parliament; or, as you may fitly term it, the mongrel tail. Imagine Irish culture after centuries of practical observation copying the foul methods of English legislation … the Dáil members are called together every two or three months to hear reports … they are then dispersed to mooch around amongst their constituents as if they were the most insignificant of ciphers.” That was hardly an unfair summation of what was and has remained the lot of the Irish TD. When he published his book, Parnell and His Party, in 1957, Conor Cruise O’Brien noted that Parnell in the late 19th century had taken a loose movement sympathetic to the claim for Irish self-government and turned it into a well-knit and disciplined party of modernity with an “effective political monopoly on the political expression of national sentiment”. The irony was that Sinn Féin defeated the Irish Parliamentary Party in order to do likewise. Sinn Féin, as historian Michael Laffan has characterized it, went on to beat the home rulers – “who provided the only available model” – at their own game. What had been important to the Irish Parliamentary Party – localism, patronage, the use of the party whip – remained equally important to Sinn Féin and its successor parties after the civil war. The crucial difference was that Sinn Féin assembled in Dublin rather than London. Yet the electorate has indicated its broad satisfaction with that for decades now, suggesting the consensus identified by Tóibín will be the very thing that will frustrate his efforts.